The school year 2017 – 2018 will start the on the 11thof September for students of nursery, primary and special education, and on the 15th of September will start secondary education and high school. This year, Christmas holidays will be from 23rdDecember to 7thJanuary inclusive. Easter holidays will be the last week of March from 26th up to the 1st of April. 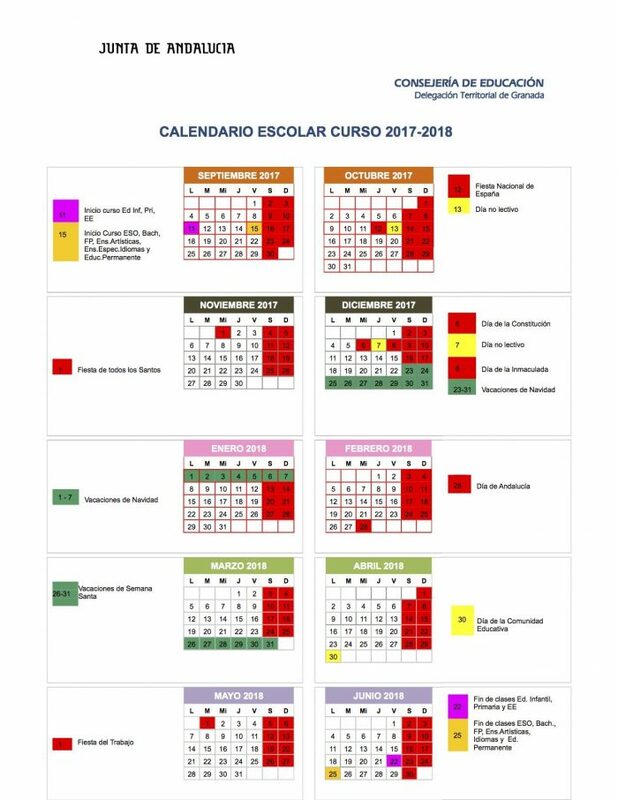 As for bank holidays there will beDía de la Hispanidad, Constitution Day and Labor Day, since joining instructional days together with weekends will involve several days without class. The school year will end on 22nd of June for Nursery, Primary and Special Education and on the 25thof June for Secondary Education and high School. 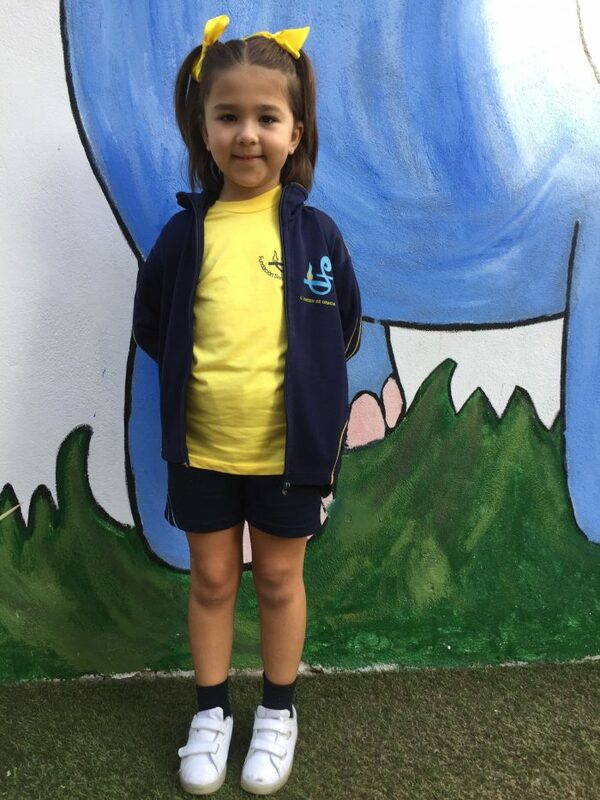 Nursery and Primary school: 9.00h. – 14.00h. Secondary and High School: 8.00h. – 14.30h. School uniform is obligatory for students of Nursery, Primary and Secondary Education. Blue polo shirt with the logo of the school. Short sleeve or long sleeve. Navy blue v-neck cardigan or jumper with blue and yellow stripe and logo of the school. Charcoal gray long pants, except boys of the Nursery level. Black shoes and navy blue socks. Boys of nursery level will also wear a smock . Plaid Skirt with shoulder straps for small sizes. Black shoes and navy blue socks or woolen tights for winter. Girls of nursery level will also wear a smock. Navy blue tracksuitwith yellow spikes and school logo in the sweatshirt and name of the school in the pants. Navy blue shorts and yellow sport t-shirt. Navy blue fleece with the back of the neck and the spikes of the pockets in yellow. Where can you buy the school uniform? 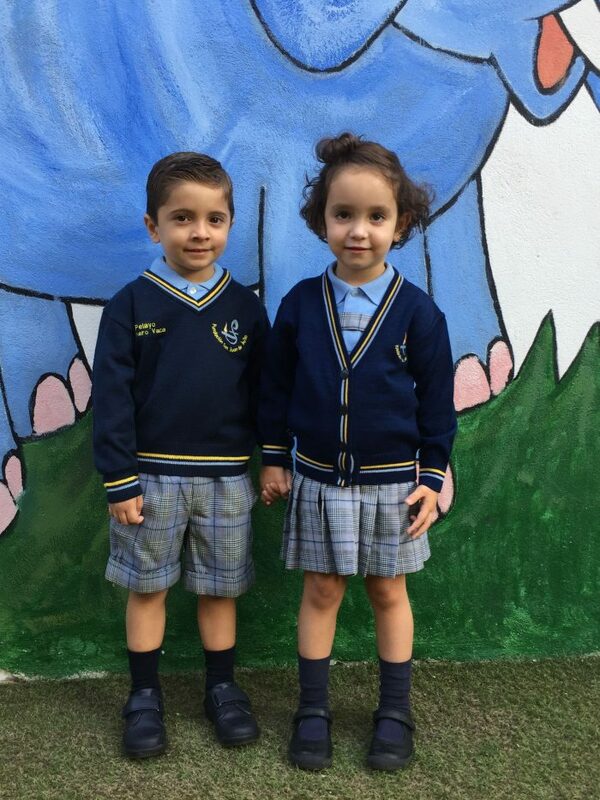 The official uniform of the school is only available in El Corte Inglés and Uniformes EmilioCarreño S.L.